When you start using a new iPhone, one of the first thing you will do is connecting Facebook account to the phone. As I just want to use Facebook as news feed, I feel very annoyed when all Facebook friends’ contact information and birthdays are added to my Calendar app. This could make a mess if you have a significant of friends on Facebook and you don’t care about their birthdays. The real appointments and events are much more important and absolutely you don’t want to miss them because of those birthdays. The birthdays does not only show up in your Calendar app but also in the Notification Center. Therefore, most users will want to get rid of the birthdays from unknown friends. I will show you how to disable the feature on iPhone 5S or iOS 7. To prevent Facebook birthdays from displaying in your Calendar, you just need to go to the app, tap the red Calendars text at the bottom of the screen. The text looks not to be clickable but it is, I hate the flat design more because of the confusion. Subsequently, you will see the Birthdays under Facebook being checked. Now, just tap on the line to uncheck Facebook birthdays. 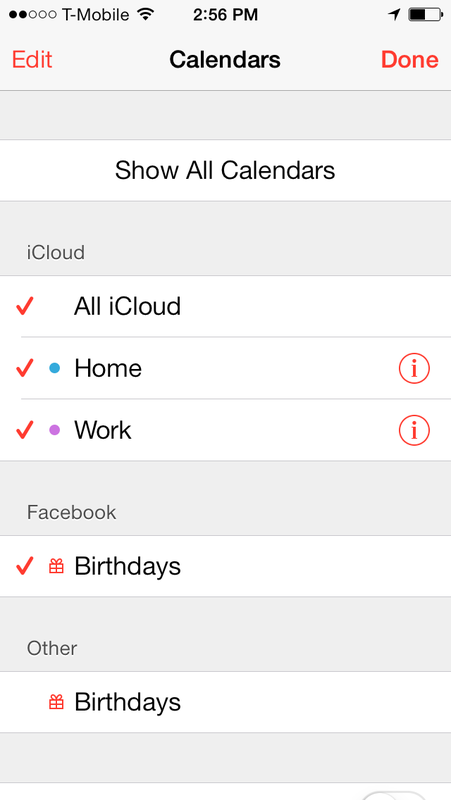 This will hide all birthdays of your Facebook friends in Calendar app as well as in Notification Center. If you want to view birthday of your friend, you will need to look it up on contact page. Let me know if this post could help. Thanks for your tip, it really helped me well! i finally got rid of those annoying birthday notifications on my calander, what i however found funny in your text is you saying “unknown friends’ ahh….gotta love that part. Haha, that’s the truth. Most users have a lot of ‘friends’ that they don’t know at all. I even got some from Candy Crush. Sir, thank you for the generosity in sharing your intelligence. It did work for me, and I greatly appreciate it! Fiddlesticks! This didn’t work for me. Why not. Running IOS 7 on iPhone 4S. So its still synced but at least it doesn’t fill up your calendar with birthdays. Thank you! The Facebook birthdays were driving me crazy on my already busy calendar. I didn’t even install FB on my new iPhone, so I don’t have the Facebook birthdays option on my calendar, and yet I still see some of my FB friends’ birthdays on my calendar. argh. help me please! Thank you SO very much…clutter no more!! PLEASE HELP! This is driving me insane. I deleted my Facebook accounts, all my contacts and everything to do with Facebook. 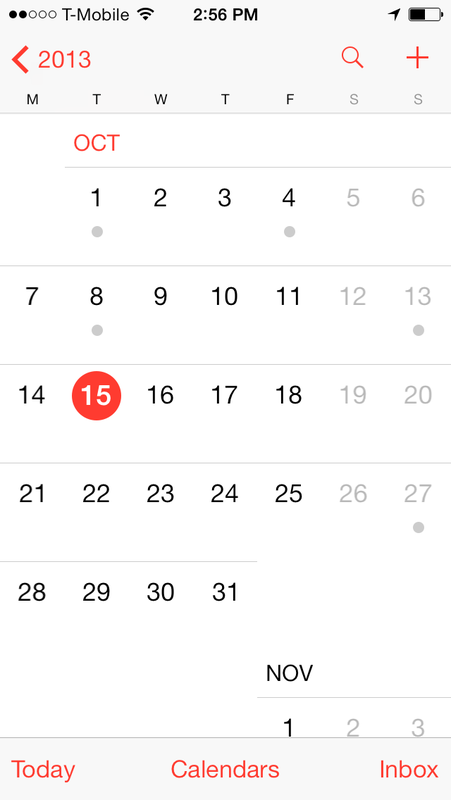 I still have everyones birthdays showing up on my iPhone calendar but not my mac ical even though they are linked. I unchecked the birthdays section under other in ical on my phone and it does nothing. i don’t know what to do. I can’t stand looking at the Facebook birthdays that i really don’t care about. i dont even have a facebook option to click on in the calendars section! what do i do? I fixed it for myself. I went under hotmail and unchecked the birthday calendar (read only). it got rid of all the facebook birthdays and left the important ones!! I have followed these directions three times. It seems to work, but then it turns itself back on again. Ok. I disabled, but the birthdays that were already there are still there, and I can’t figure out how to delete them. I want them gone!!!! What can I do to remove them from my phone? To delete an Individual’s Birthday from your Contacts/Synced from Facebook onto your iPhone Calendar, Go to the Contact on your iPhone OR Click on the Present next to the Name on your Calendar and that will take you to the Contact Name on your iPhone. Click Edit, Scroll down to the Birthday, Slightly Press/Pull to the Left – (it will be Red) and the Delete button appears to the Right of the Date. Click Delete. Then Done.